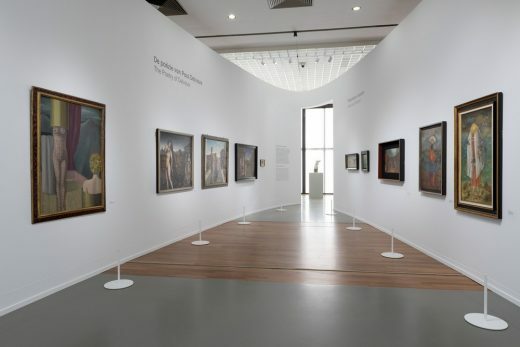 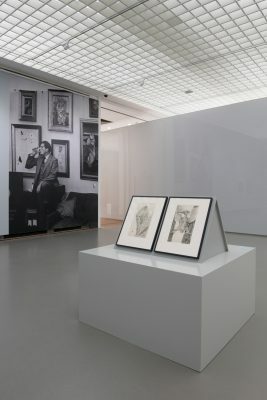 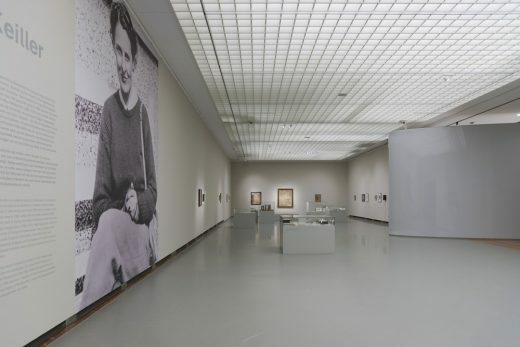 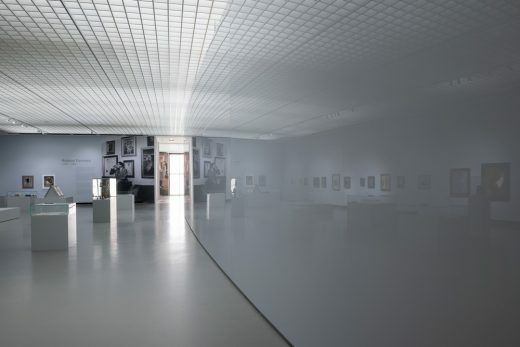 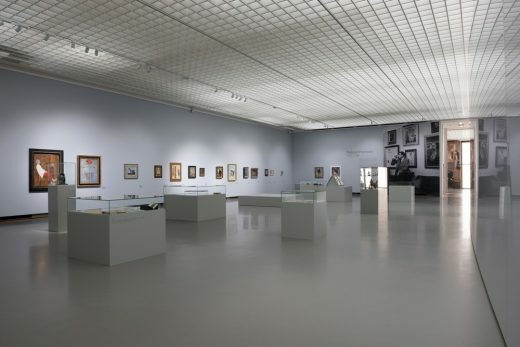 Museum Boijmans van Beuningen Rotterdam, in collaboration with the National Gallery of Modern Art in Edinburgh and the Hamburger Kunsthalle, presents ‘Mad About Surrealism’ with over 300 surrealistic works from Dalí, Ernst, Magritte, Miró and others. 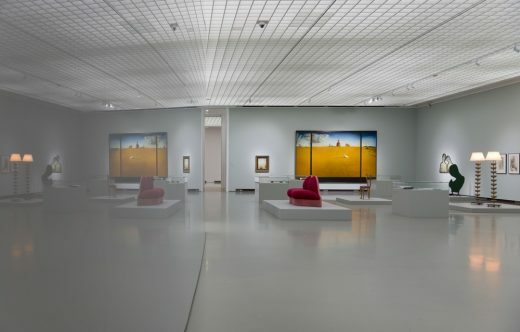 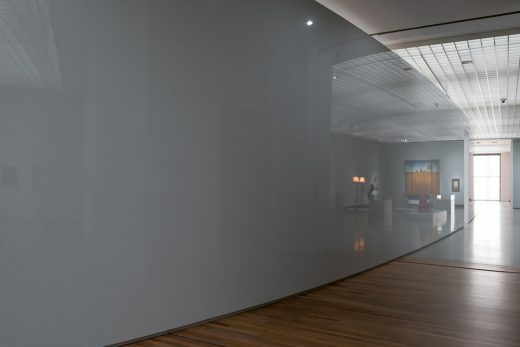 Most of the works have rarely ever been exhibited and some of them might never be on display again. 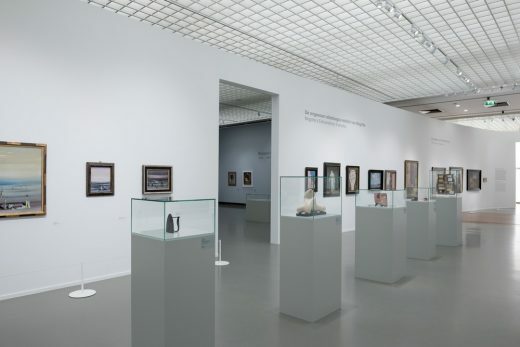 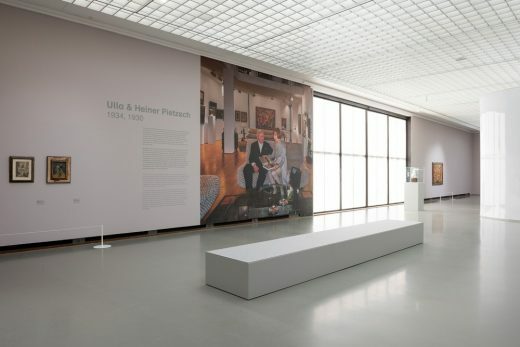 The exhibition showcases the collections of four renowned surrealism collectors: Roland Penrose, Edward James, Gabrielle Keiller and Ulla and Heiner Pietzsch. 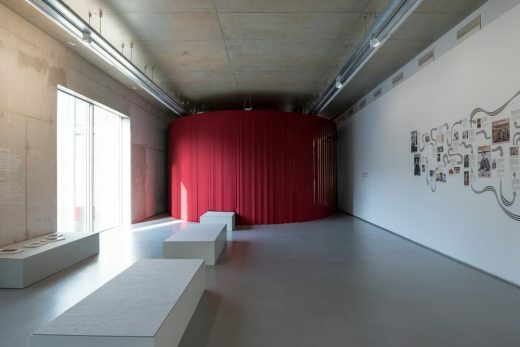 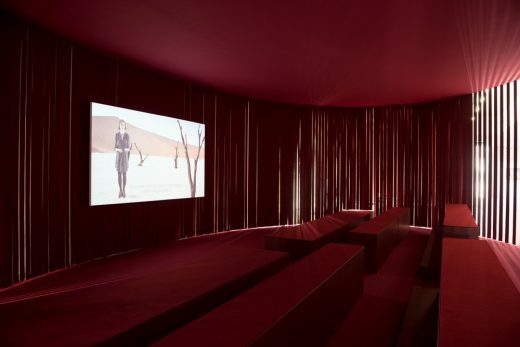 The exhibition is the third Maxwan designed ‘blockbuster’ exhibition in the Boymans’ main exhibition space, the Bodon Hall. 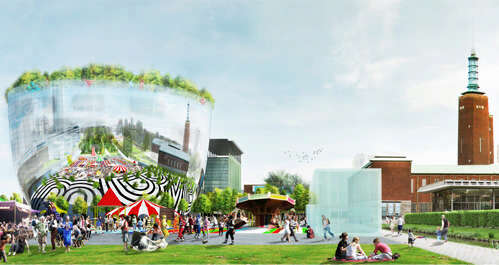 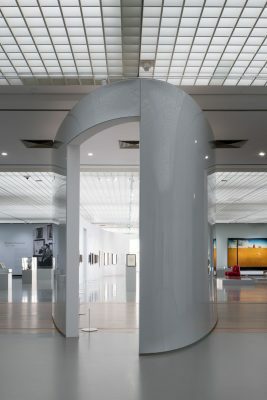 The key ingredient in the design is a newly built central room with a zeppelin-like shape. 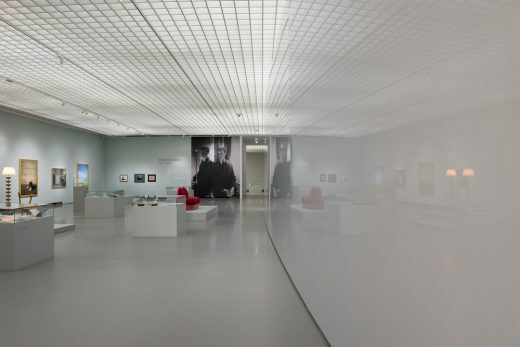 The bright interior of the zeppelin hosts eight themes – Dali’s paranoia, Fabulous women etc. 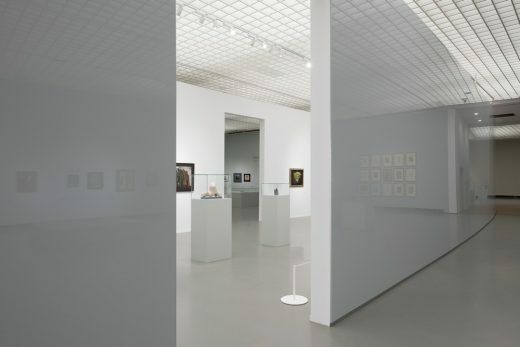 – composed of works from all four collections. 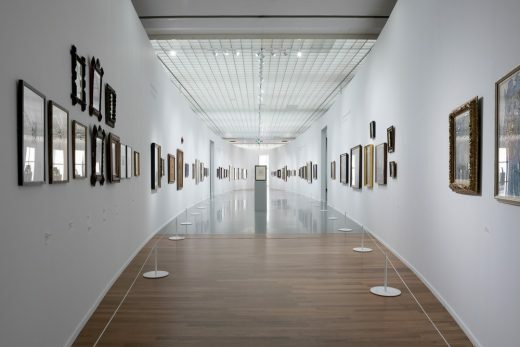 By its size and position the zeppelin divides the Bodon Hall into four quadrants – one for each collector. 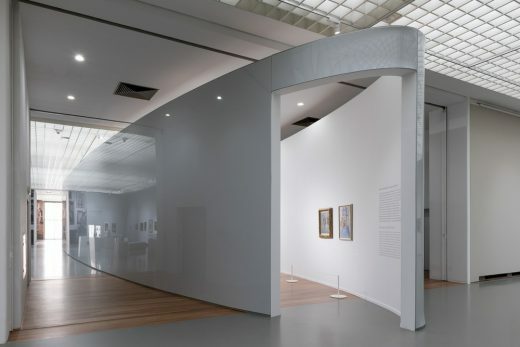 The skin of the zeppelin is a highly reflective gray that surrealistically reflects light, artworks and visitors of the collection rooms.